For this month's "From Passion to Profession" story I will be talking to one of the founders of sampleroom.ph. For those of you who don't know Sample Room, you're missing out! Basically, it's a website that gives free samples (just pay for shipping) for girls who want to try out new beauty products but don't want to fully commit to a full-sized product YET--'cause you know, you're not a hundred percent sure if it will work for you or not. It was an idea rooted from the founders' love for makeup, and we're going to meet one of them today: Diana Ong. She's the Marketing Manager of sampleroom.ph who took up Psychology & Marketing at De La Salle University. Now, she's handling the go-to sampling website for all beauty lovers. Read more about her career path in this article! What is a typical day like for your profession? I check emails any time of the day even late at night. I also work for our family business so I usually multitask depending on deadlines. I also manage our social media which keeps me updated on the different trends. Back in your college days, what was the career path you had in mind? I like the idea of owning a business, not just a purely for monetary gains but doing something that I am passionate about. I had a game plan, to work for a company outside the country for a short time then go back in the Philippines to create a new business. Did you always envision yourself be a company owner? Yes, I like to have the freedom to create and good thing the world of technology just evolved at the right time. Can you please tell us how it all started--how did 4 batchmates with a knack for beauty build everything up to what Sample Room is now? We're all interconnected. Katherine and Sophie were blockmates in college and Nathalie I were blockmates in college, then Sophie and I were classmates in grade school. It started when we were having dinners talking about anything under the sun. In one of our dinners, we were talking about our dream of having a startup business, something that we're passionate about. Everyone dreams of, at some point in their lives, in one way or the other to have a start-up business that they love. Like typical ladies, we were into beauty products. And at that time, we saw how sampling was a big hit in USA and thought of: "Why not have a localized sampling website as well in the Philippines?" Localized content and activity are a scarce here in the Philippines. 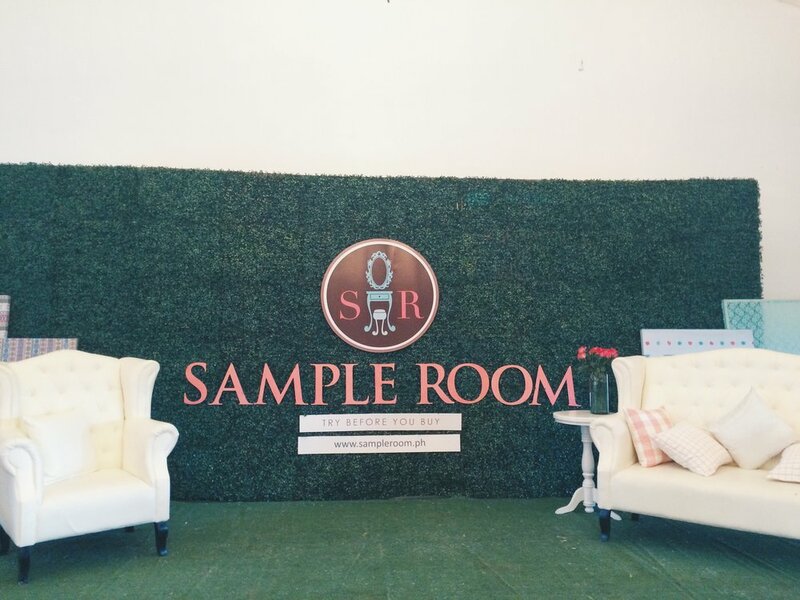 We brainstormed, researched, discussed, and after more than a year, eventually, we came up with a beauty and lifestyle sampling and review website called Sample Room. On a personal level, each one of us has a story to tell about how a particular product didn't work for us, how we spent big amount of money buying products that didn't match well with us... So we bank on the power of trial and knowledge and created a community where it doesn't only let you choose which free products to try,it also provides real and honest details about the product and customer reviews—more than enough information to help you make an informed decision before you buy. One of the best things about Sample Room is its real community with members interacting beyond the digital sphere. Apart from the online site, members get the chance to attend beauty events—from summer getaways and makeup sessions to spa parties, beauty blogger get-togethers, and other lifestyle activities and events that help in making every woman knowledgeable and empowered in every beauty aspect while adding to her arsenal of beauty brands. Everyone dreams of, at some point in their lives, in one way or the other to have a start-up business that they love. What are the struggles of putting up and running a company with this out-of-the-box idea of yours? One of the greatest challenges we encountered was building the credibility of our website and our credibility as business partners with our brand partners.Of course, during the first few legs, we were presenting to brands without a website that is up and working, since we want to launch and have the website live already with available products right away. We are really blessed that the brands actually took a leap of faith in us, and really supported us with samples. The presentations were, of course pretty, uncertain in terms of results, but we just kept on going and presented to the brands we wanted on our website.We encouraged each other that we'll manage to be able to launch with a great roster of brands and products, and I believe what kept us going was that we really wanted to make this happen -- a sampling & review website in the Philippines. The thing that really inspired us to start the company is consumer empowerment. It is being able to decide and buy a product for you wholeheartedly with confidence, because either you have tried it through sampling or have read reviews how the product performed on that particular person that has the same background (skin issues, hair conditions, etc.) with you. We wanted to give the Filipino consumer the ultimate power to give value to their purchases as we all work hard for our money; and we are hoping that with Sampleroom.ph, you will get to try samples for free! As you try the samples and decide if it fits you or not, it gives you the power to decide if you'll buy it or not. We encouraged each other that we'll manage to be able to launch with a great roster of brands and products, and I believe that what kept us going was that we really wanted to make this happen - a sampling & review website in the Philippines. Why did you decide to go to the digital “tryvertising” route? We went digital for the sole reason that we believe that we are all connected digitally, and it is truly the best, and easiest way to reach everyone! :) As for tryvertising, we really wanted to empower the Filipino people in terms of purchasing decisions - for health and beauty products, it's just really a hit and miss.We really want to help our Filipino consumers by getting to try products for free, as their first step in decision-making for their health and beauty shopping! That way, when we buy products after trying, we are already assured that it will all work for us, giving us value for money. We really want to help our Filipino consumers by getting to try products for free, as their first step in decision-making for their health and beauty shopping! Which type of beauty products seems to be in demand by your market? Our market has a big range in terms of the products that they like but we see a lot of interests in cosmetics, skin care, hair care and body care. Why did it take for you this long to make everything official and have a media launch? We wanted to be ready and stable when we launch.For 3 years, our primary goal was to strengthen our relationships with our brand partners, have an interactive community with our members and create content on our website. We experienced a lot of challenges in that 3 years span of time, but it is now that we are able to put a strong foothold on our vision, creating an in-line communication with our goals, objectives and vision & mission for our website. What will we expect from sampleroom.ph in the future? Hopefully, an e-commerce site in the future, more exciting brand collaborations and events! What’s your advice to college students and yuppies who aspire to have their own company someday? Try to think of new ways, not just follow the norm. See and read more of Sample Room here!